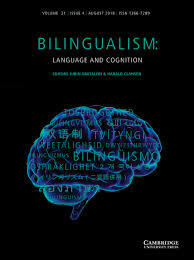 I am a psycholinguist interested in how speaking two languages (bilingualism) or two dialects of the same language (bi-dialectalism) affects children’s and adults’ lexical, grammatical, pragmatic-communicative, and non-verbal cognitive skills. My broader research interests lie in language acquisition, pragmatic-communicative, and non-linguistic cognitive development (in typical and atypical populations), language processing, the interplay between language, pragmatics, and other non-linguistic cognitive skills in children and adults, (experimental) semantics and pragmatics. Currently, I am a Marie Skłodowska-Curie postdoctoral fellow in the Center for Applied Neuroscience at the University of Cyprus as part of a two-year individual fellowship awarded to me by the European Commission. 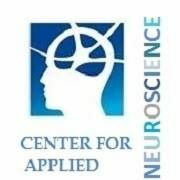 The research fellowship was awarded to implement a project on the neuro-cognitive effects of bilingualism and bi-dialectalism in adult participants. Moreover, since October 2016, I am an adjunct faculty member (tutor) at the Hellenic Open University (teaching the distance-learning postgraduate course “Language Development“). In the past, I held various teaching and postdoctoral positions at the University of Cambridge, Université libre de Bruxelles (Belgium), and University College London. For a short CV click here. In my free time I enjoy doing sports, particularly playing football, running, and reading about politics. You can read about some of my other activities here. Feel free to explore the site! You can also find me on the ACTE’s website at the Université libre de Bruxelles, on the website of my former department at the University of Cambridge, on Academia, ResearchGate, LinkedIn, and Facebook.